Welcome to the DRAKUS EMPIRE CAPTAINS expansion set for the popular STARFIGHT© game. 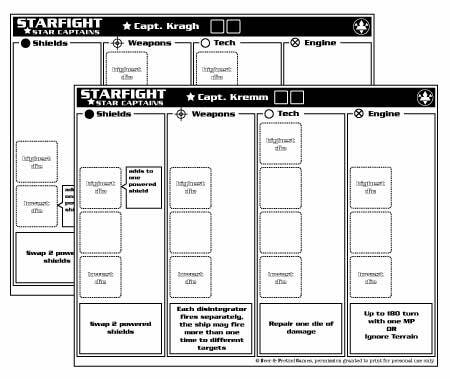 This is not a game itself, you need at least the STARFIGHT base rules, the STAR CAPTAINS expansion and the EXPANSION PACK I in order to play with this expansion. In this expansion, you will find four Drakus Empire captains and some new orders for this faction.